Adverse climate change pattern will lead to more 'weather wars' Counter Terrorism expert warns. The collapse of the ecology due to over grazing, deforestation, unrestricted and uncontrolled farming has resulted to an increase in local conflicts, primarily for access over rare grazing fields, food stuff, scarce water supply, cattle rustling and at worse, ‘rural intifada’ of farmers, fishermen and nomadic pastoralists searching for greener pastures in ‘another man’s land’. Dramatic changes in weather patterns is fast becoming a precondition and trigger for many civil wars but also an enabling factor for sustaining an ISIL – Boko Haram jihadist style terrorism in the Sahel and the Middle East. However, the transformation pattern of these ‘weather wars’ and their severity depends hugely on local state, private and community proactive preventative and response mechanism. This climate change conflict relationship analysis acknowledges the key role of other religious, political and economic major push and pull factors not linked to the impact of climate change patterns on local or international conflicts. A natural human instinct is for people to flee their habitats in order to survive situations of flood, droughts, livelihood and starvation. Faced with such predicaments, humans will do whatever it takes to migrate and save themselves even if it comes to fighting and dying for survival in an alternative safe space belonging to a hostile or friendly neighbour. Not even threats of death, high wall fences, borders and oceans act as migration and settlement deterrent when such a disaster strikes. To many, the choice is simple, fight or flight, stay and die. In choosing the choice of migration the survival risk is 50/50 depending on your destination and your traveling behaviour. The nomadic Fulani pastoralist in the middle belt region of Nigeria (an extension from Central Africa Republic CAR) and the local farming population both blame the current attacks and Counter attacks against each community on the increase desertification of the lake chad basin and the forced migration option by nomadic herdsmen to seek alternative grazing field for their cattle. These clashes have seen a steady increase of violent conflict in the North Central region of Nigeria with the Global Terrorism Index rating the Fulani Herder crisis the fourth deadliest terrorist group in the world. In the North East of Nigeria, Boko Haram exploited the shrinking of the lake chad basin to increase its rank and file by forcefully but also voluntarily trapping and recruiting local fishermen, herders and farmers who were attracted to the region during the raining season to fish, graze and plant in swampy areas. These men mostly had no other livelihood to sustain on as the drought as desertification consumed most of the fertile land. These men not only became key fighters of Boko Haram, but some were used for surveillance, reconnaissance missions, source of funding and for logistics purpose due to their legitimate need to be on a constant move. From and angle of self-help, especially where local Government security forces cannot be trusted or relied upon, local Fulani herders are prepared to take ‘Do It Yourself’ deadly action against cattle rustlers and local farmers when they and/or their cattle is under threat or attack. As Fulani nomadic pastoralist migrate to escape desertification and droughts in search of fresh grazing land for their cattle, they arm themselves or high mercenaries who carry sophisticated weapons for protection. They venture into alternative cattle routes to avoid regular ambush on marked cattle routes. The problem is that alternative cattle routes generate further conflict as the farms and crops of local farmers are destroyed in the process leading to more deadly clashes with local farmers. It is a vicious circle but the core is climate change and a government with no proactive response. Between 2011-2012 in Timbuktu, Mali, the nomadic Tuaregs in the desert town of Tayshak became extremely desperate as severe desertification resulted in animal diseases, cattle rustling and an increase in dying stock made worse by limited grazing fields and failed wells. The rise of MNLA (National Movement for the Liberation of Azawad) in 2012 was thanks to a free flow of sophisticated weapons from the Libya crisis, easily accessible to returning mercenaries. These weapons provided a golden opportunity for jihadist to rally the attention of the local Tuaregs by exploiting the ungoverned space and really bad conditions on ground that the government had failed to address. As the MNLA movement grew in strength and became a force to reckon with; vulnerable, angry, socially excluded and dislocated young Tuareg nomads became easily enticed to the security, financial and ideological benefits of belonging to jihadist groups like MNLA, Ansar Ed- Dine and AQIM (Al-Qaeda in the Islamic Maghreb). These young men immediately became rich over night with regular salaries, arms to protect the limited cattle they could keep and power to stand out as heroes in their local communities. The violent narrative of the MNLA Jihadist would not have gone down as easy as it did without the devastating life-threatening impact of climate change on the direct livelihood of these local Tuareg nomads and the failure of the government to do something meaningful. In the North Rift and North-Eastern regions of Kenya, competition for natural resources like water and grazing land resulted in deadly clashes between local Pastoralist from the Samburu and the Ndorobo tribes triggered by accusations of cattle rustling. Like most Fulani herdsmen, local pastoralist in Kenya treat their livestock as a symbol of wealth and livelihood. Communal sharing of available grazing land becomes problematic when grazing fields shrink and water dries up due to drought and famine. As cattle’s die in huge numbers, cattle rustling activities increase as communities’ struggle to replenish lost stock by hook or by crook but also engage in brutal conflicts over the use of limited grazing fields to save their own herds. The 2011 ‘Todonyang Massacre’ between the Turkana warriors and the Dassanech’s Merille Militia left about 80 men, women and children dead as a direct result of the impact of climate change on the scarcity of fish, grazing land and water. These instances are evidence of increasing local conflicts directly impacted by adverse weather conditions. Significantly since 2010-2011 in Mali, Ghana, Nigeria, Niger, Cameroon, Kenya, Fulani nomadic pastoralists began to experience droughts and shortage of grazing fields and resorted to moving their cattle to graze on land belonging to local farmers and other land owners. 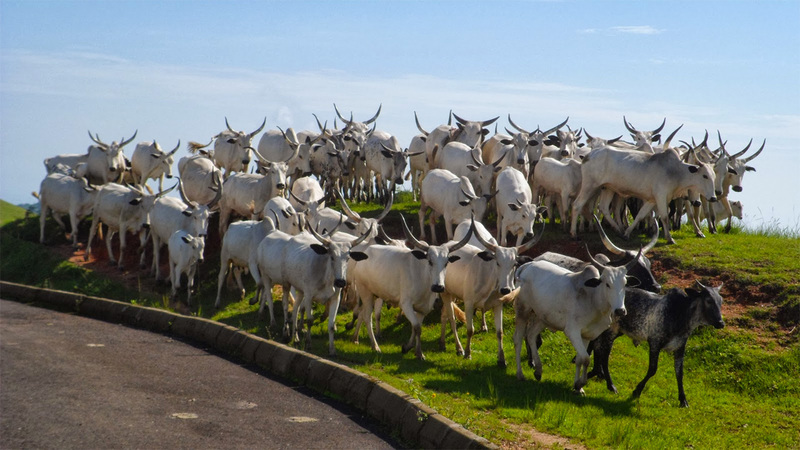 This pattern has caused deadly clashes between Fulani nomads and local land owners. For one of many reasons. Farmers crops are destroyed and eaten by cattle trespassing into private lands or unauthorized over grazing. The severe drought in Eastern Syria between 2006-2010 triggered by the over grazing of the Syrian Steppe, damaged the Rural ecosystem and forced many working age Syrians to migrate with their families to the cities in search of alternative livelihoods. This massive exodus to the urban cities created pressure for the Assad regime as unemployment and poverty increased. Those in the cities and the new arrivals from the rural areas formed a coalition and blamed the government for failing to handle the effects of the drought and the plight of Syrians. With increase corruption and no freedom to express their voices, the civil strife for daily bread and freedom transformed into a battle between the Assad regime and a concoction of extremist groups including Al-Qaeda and ISIL with multiple agendas. These jihadist extremists’ groups found it comparatively easy to win the hearts and minds of Syrians and massive support from a mixture of those who had migrated from the rural areas as a result of the drought and those in the cities directly impacted by the internal migration; and wanted the government out of the way for failing to intervene. Irrespective of this trend, climate change caused by severe droughts only added extra ammunition to the Syrian conflict, it was not the primary causation factor. It’s influence on the crisis dynamics and trend cannot be dismissed either. There is no solid concluding evidence that planting more trees in the Lake Chad region, curtailing the over grazing of land in Eastern Syria, providing alternative mechanism to grazing fields for nomadic pastoralist in North Central Nigeria and North Rift of Kenya and turning the desert in the Sahel into a forest would have prevented the rise and prominence of Boko Haram, ISIS, Fulani Herder crisis, or the influence of AQIM and Ansar al Dine in Mali. A drought may not directly threaten the national security of any given state, but when the consequences are overwhelming on the affected populations and mismanaged, the adverse effect of climate change can lead to internal migration, unemployment, poverty, anger, hatred and inter/Indra communal clashes between rural to Urban populations. This analysis simply demonstrates that in specific fragile cultural and economic environments, presented with specific kinds of disasters, coupled with the inaction of state authorities, some specific places may experience armed violence as the weather pattern alters. However, the increase in severity of these conflicts has little to do with climate change itself. This is not to say that countries that proactively nip climate change impact in the bud will be free from climate change related conflicts. Each case must be approached on its own merits and demerits. It is dangerous for policy makers and mankind in general to reject, ignore, play down, and do little to protect the ecosystem. It will make a huge difference if we all proactively counter the real adverse repercussions of global climate change patterns as we face a much closer period in history when desperate men and women will be left with no choice but to fight ‘weather wars’ of survival but also a time when adverse climate change will become a single direct trigger rather than a precondition for many future wars. To solve a problem right, requires solving the right problem. With the right Subject Matter Expertise, unravelling the complex situations of natural disasters and their impact to man-made disasters needs intense research and a structural solution design to mitigate the real impact of climate change from a local implementation perspective. There is an obvious need to keep the global warming below 1.5 decree Celsius. There is also a need to impact the local community to plant trees, minimise deforestation and avoid products that harm the environment. But the answer is in the specific problem.